The Labour Women Executive is elected by the women members of the Labour Party at the Labour Women National Conference, which is held every two years. The Labour Women Executive meets monthly and is responsible for guiding the work of Labour Women towards the achievement of its strategic goals, developing Labour Women policies and hosting meetings for Labour Women members around the country. The work of Labour Women is facilitated and coordinated on a day-to-day basis by the Party Women's and Equality Officer, a member of the Labour Party staff team. The Party Women's Officer is an ex-officio member of the Executive of Labour Women. 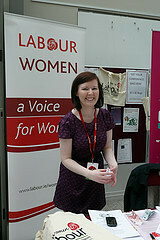 Sinead joined the Labour party in 2004 after several years of involvement in student activism. She has a particular interest in equality and women's rights and has been involved in pro-choice activism since 2007. Sinead got involved in the Labour Women Executive in 2011 in order to join the the campaign to achieve gender quota legislation and also increase women's participation in the Labour Party. Sinead lives in Ballymun with her husband and cat Rosie. Billie is a qualified solicitor and currently works as the Women’s and Equality Officer in the Labour Party. Billie has been a member of the Labour Party in Dublin Central since 2008 and has been involved in numerous local and general election campaigns over the years. Billie is also a Director of a voluntary organisation which works towards gender equality in Irish politics called, The 5050 Group. 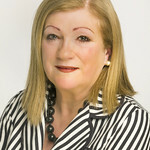 Angela has been a member of the Labour Women Executive since 2001, and is the current International Officer. As International Officer, Angela represents Labour Women at quarterly meetings of Party of European Socialist Women in Brussels. Angela is also Labour Women's representative on the Labour Equality Executive and a member of Labour Disability. Angela has been in the Labour Party for a very long time, and is currently Chair of the Jack Fitzgerald Branch, Dun Laoghaire. She is also a member of Dun Laoghaire VEC (now the Education and Training Boards), an Adult Literacy tutor and a volunteer cook for Meals on Wheels. Apart from all that, Angela takes a huge interest in the lives of her three grown up children. She loves painting and cooking, does art classes in Monkstown and is a long time member of Slow Food, south Dublin/North Wicklow chapter. Judy lives in Portmarnock and is involved in the Portmarnock Community Association and the Portmarnock Tidy Towns Committee. Prior to being made redundant in 2012, Judy worked to protect, promote and represent the interests of consumers nationally through her work at the Consumers Association of Ireland. In the past, Judy worked with for both former TD Sean Ryan and former Dublin MEP Bernie Malone. 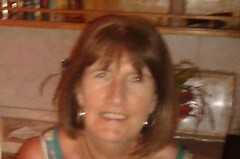 Susan Fay is Managing Solicitor in the Irish Traveller Movement (ITM) Independent Law Centre. She obtained a Bachelor of Civil Law in University College Dublin and attended the Law Society of Ireland qualifying as a solicitor in 2007. In Susan’s work in the ITM Independent Law Centre, she works in the area of human rights and equality. In her work, she takes strategic cases, provides legal advice and education to Travellers and engages in policy work on legal issues relating to Travellers. Lainey Hughes Lainey Hughes is a public servant from Mayo, currently based in Dublin. She started campaigning for women's rights while studying in the US, where she presided over her college chapter of Mortar Board and held officer roles in her college SU, American Association of University Women (AAUW) and Vessels International. Lainey was co-opted to Labour Women in December 2011 and is honoured to work with her bright and brilliant LW colleagues. Marie is a graduate in Economics from TCD and holds an MSc in Development Studies form UCD. Marie has been teaching business /management studies in Further Education for over 20 years. She has also spent a number of years working with UNDP in Malawi on Enterprise Development. She has a special interest in training, mentoring and coaching. Marie’s hobbies include reading, theatre and travel. Veronica O’Doherty works as a Principle Psychologist in Tallaght Hospital in Cardiac Rehabilitation. Veronica is a graduate of TCD and UCD. 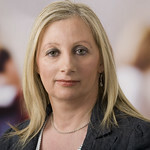 Veronica has been a member of the Labour Party since 1994 and contested the local elections in Dundrum in 2009. 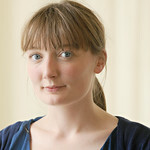 She has also taught psychology for several years and is currently part-time guest lecturer attached to TCD. Interests are continuously varied and some lie in the field of psychoanalytic psychotherapy, mindfulness research, clinical work and creative writing. Veronica also chairs the Impact Vocational Group for Psychologists for the past number of years. She is passionate about equity in the public health services and more opportunities for women at Senior levels in decision making in all aspects of society. Eileen worked as a Social Worker, Team leader and Head Social Worker for 33 years. She graduated from Trinity College with her primary degree in Social Studies and professional qualification in 1979. During her career she trained as a family therapist and completed an MSc in Management. Her main areas of work were in family supports, child and adult protection and intellectual disability. Having reared her children and taken early retirement, Eileen joined the Labour Party in 2012. She has a special interest in social equality, social support and justice. Irene retired to live in Ireland with her husband after serving in England as a police officer and working with a women's NGO in Bangladesh through Voluntary Service Overseas. She has been a socialist and activist for women's rights since her schooldays and has been a member of the British Co-operative and Labour parties. 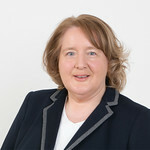 She joined the Irish Labour Party in 1999 and has held various offices in the Wicklow Constituency. She maintains an interest in the developing world, is a committee member of WEB (Bray Women's Equality) and takes music and art lessons.